Feel like your fingers could do with some specially spooky sparkle this Halloween? 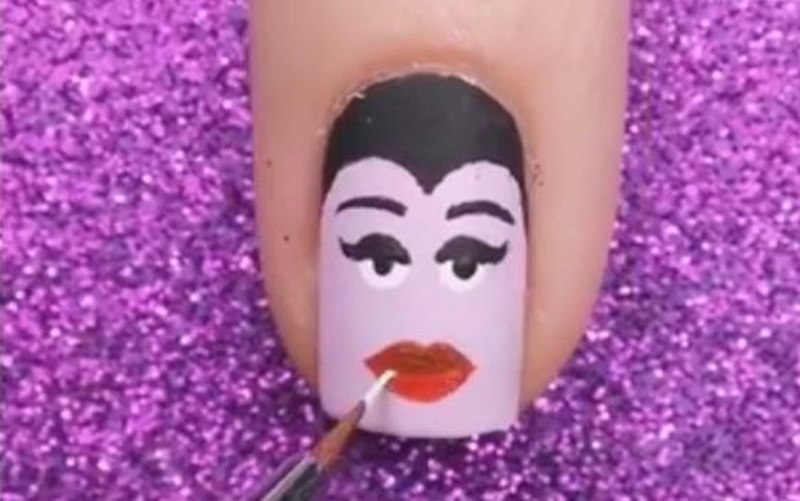 Check out these Achingly Awesome Halloween Nail Designs! These nail designs by Nails by Cambria are fabulous and don’t look too hard to master either. I love the Skull & Crossbones! My youngest daughter loves trying out new nail tricks and I’m always on the look out for easy to achieve designs. 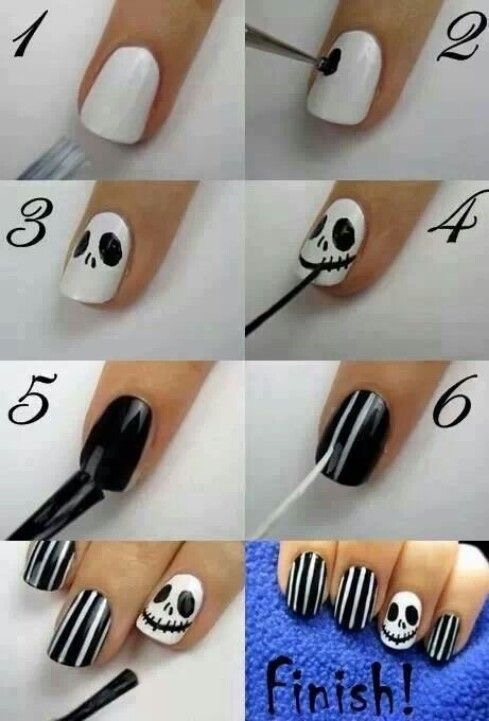 Here are three more Halloween nail designs I love that I’m definitely going to try out with her in the coming days. 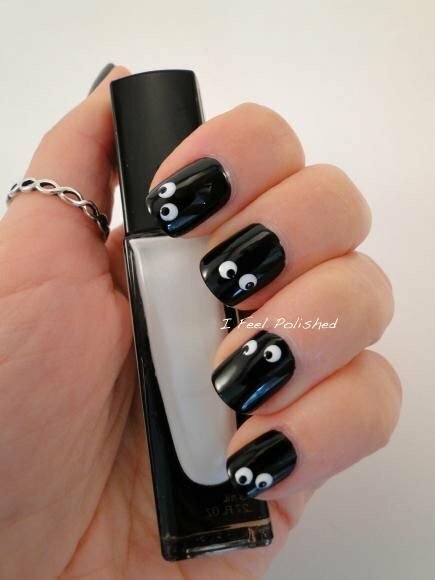 This is one of the Halloween nail designs from Alldaychic.com which looks very straightforward to achieve. You Might Also Like How To Host A Really Spooktacular Halloween Party! 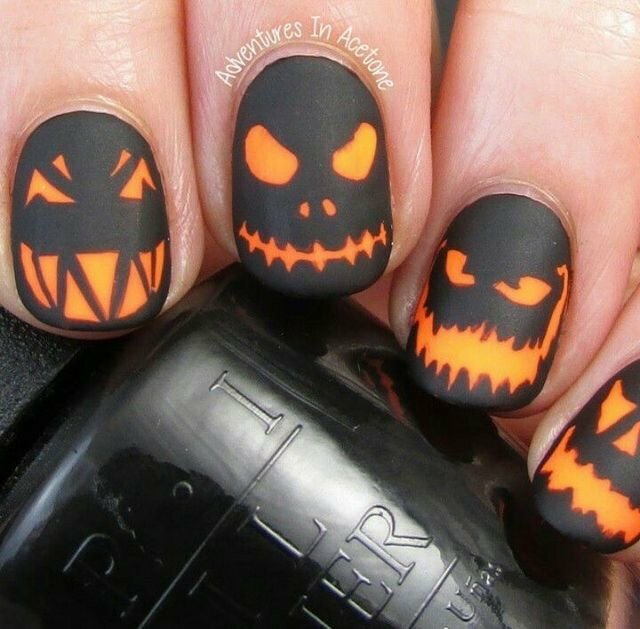 These Halloween Faces from Adventuresinacetone.com use black and orange nail polish. 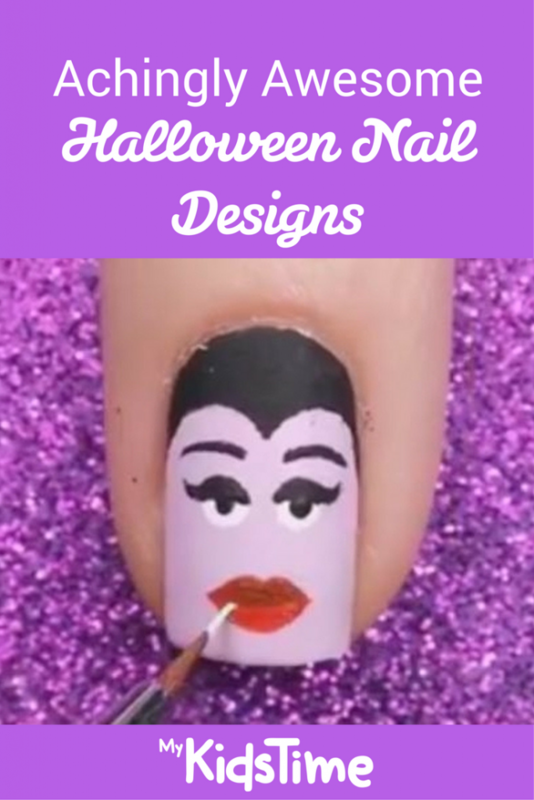 Have you created any amazing Halloween nail designs? Leave a comment below and let us know – we’d love to hear from you! Next articleWoohoo! We Won Gold at The Blog Awards Ireland 2015!